You Could Save The World With The ‘Planetary Health Diet’ – But What Can You Actually Eat? You’ll have to cut down on meat and focus a whole lot more on vegetables. 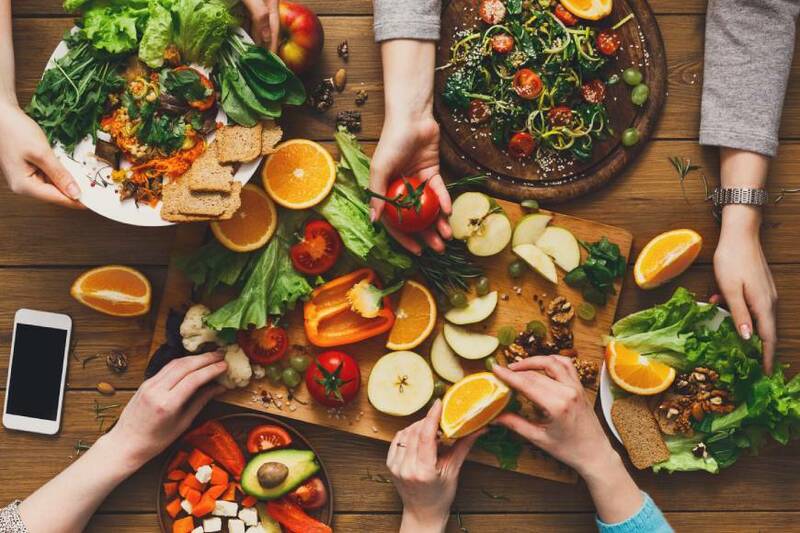 A diet that can avoid premature death and safeguard the Earth at the same time sounds too good to be true – but that’s exactly what experts are saying is possible with the ‘planetary health diet’. Scientists, who have drawn up the diet as part of an international commission, say we’ll have to hugely shift away from meat consumption to more vegetables, fruit and legumes, which could prevent 11 million premature deaths per year by 2050, while also reducing some of the worst effects of climate change. It sounds great in theory, but what about when it comes to implementing it in day-to-day life? With such potentially wide-reaching and planet-saving results, you’ll need to make some specific changes to what you eat. Start your day right with a big bowl of whole grains – think porridge with fresh banana or berries and nuts. Your dairy intake every day is equivalent to one glass of milk, so use some of this in your breakfast, and maybe save the rest for a cup of tea along with it. This diet is all about finding a balance – if you want multiple cups of tea or coffee with milk a day, maybe make your porridge with water and save your dairy quota for hot drinks. ‘Salad’ is a word that doesn’t always trigger a lot of excitement, but if you pack yours with lots of good stuff, you might just change your mind. To fit the planetary diet, for lunch try a warm lentil salad with your favourite vegetables – say, kale, courgettes and tomatoes. You’re allowed 28g of fish a day, so you could add a portion of mackerel, salmon or tuna to your lunch, or some starchy veg (50g per day allowed), like roast sweet potatoes. For a dressing, make a vinaigrette – mixing a splash of olive oil with either lemon juice or vinegar. Dinner can be just as delicious as the previous two meals on this diet. An example of a well-balanced supper that ticks all the boxes could be a whole-wheat noodle stir fry – packed full of veggies (like baby corn, beansprouts and aubergine) and beans – you’re allowed 232g of whole grain carbs a day. However, 29g of chicken or 14g of your favourite red meat is all you can indulge in per day, so it’s worthwhile going vegetarian part of the week to save up and have full portions of meat on other days. If you’re having a veggie day, swap in tofu. Top tip: Scatter some toasted cashews or peanuts on top of the stir fry for that extra crunch, and for added protein. Even though it’s called a ‘diet’, hopefully this rundown makes it clear it’s by no means restrictive. And yes, that means snacks are allowed; think a portion of fruit, roast/spiced chickpeas, and popcorn, or you could up your veg and legume intake by dipping raw carrot or pepper sticks into a bean dip. See – not restrictive at all. So will it benefit you? In a word: Yes. Cutting back so much on meat won’t just be good for the environment, but also your health. The NHS warns that some meats are high in saturated fat, which can raise cholesterol levels. There’s also likely a link between red and processed meat and bowel cancer. And there’s no arguing with the fact upping your vitamin and fibre-rich veg intake is a no-brainer. The good thing about the planetary diet is that it doesn’t ban food items, it’s more a case of easing off on certain items. Take the meat allocation for instance, you can still reap the benefits of steak – full of protein and iron, and pretty tasty – but also support the move to minimise the impact of farming on the planet. This report has been put together by the EAT-Lancet Commission.